Muselive wanted a complete overhaul for their new site. The site had remained relatively untouched from launch up until the end of 2008, following a general blog format. 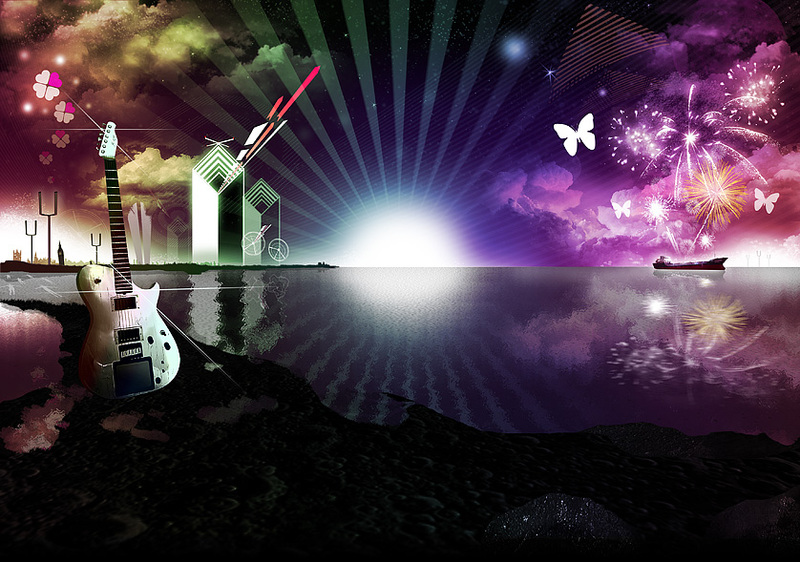 Muselive wanted the mirror the bombastic nature of Muse, their artwork and their live shows by way of a full screen background illustration, overlaced with a new user interface. The Illustration was designed, followed by a the design of a new layout, followed by a redesign of the illustrative background, as i felt that during the development time of the site i had progressed my composition/illustration skills to a point that i wasnt happy for the original to used on a site with such a large audience. The redesign proved immensely popular with their large userbase.